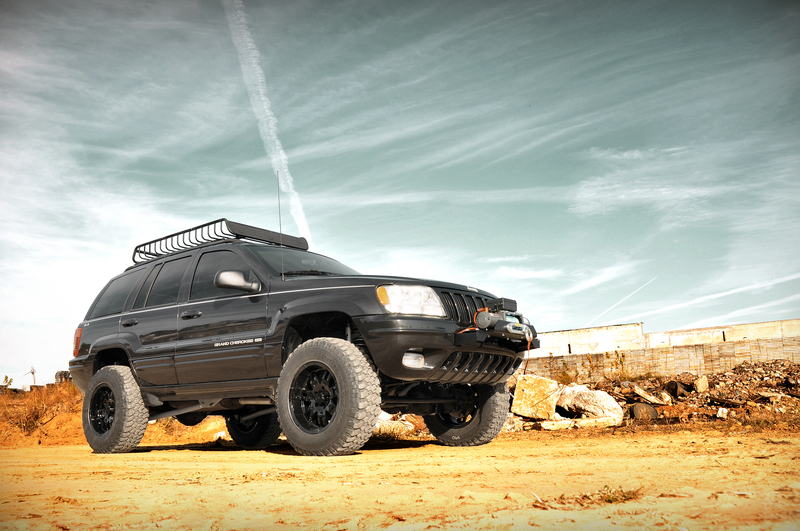 DYERSBURG, TENNESSEE— The long awaited WJ 4″ Longarm Kit is a comprehensive package including everything needed for a great suspension lift while maintaining the vehicle’s crucial center of gravity. Upgrade your WJ and gain aggressive looks, extreme flex, and enough ride height to run up to 31″ tires. Make no mistake, this kit is designed to wheel, but with so many great components to promote great ride quality it makes for a perfect daily driver as well. The kit includes adjustable high-clearance X-Flex upper and lower control arms with Clevite bushings, featuring rebuildable X-Flex joints with Adjustable Retainer Rings and preloadable bushings. 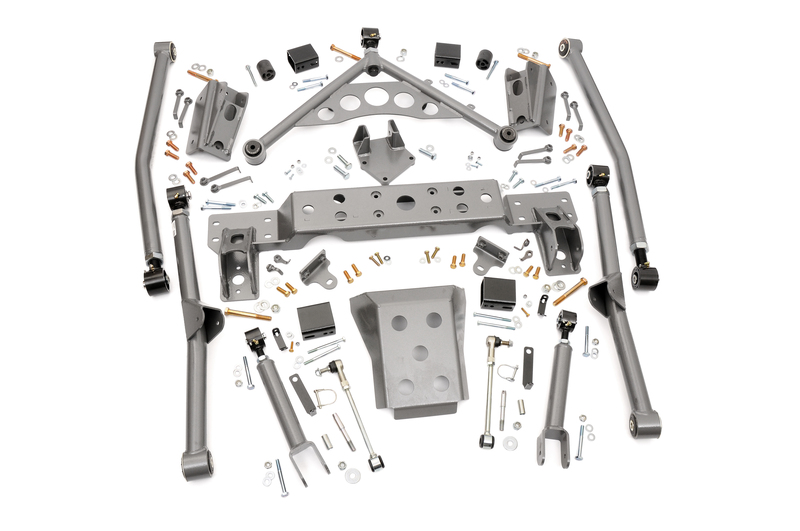 The kit also includes front and rear coil springs, a front adjustable track bar with drop bracket, ¼” thick steel crossmember, skid plate and sway bar disconnects. Outfitted with Rough Country’s Performance 2.2 shocks, this Longarm lift boasts both off-road prowess and a smooth highway ride. This top of the line kit focuses on improving off-road handling and articulation while preventing binding and rear steer. This lift kit features high-clearance components with a front 4-link and rear y-link control arm design which promotes extreme flex while keeping pinion angles optimized. Utilizing adjustable components, this kit can also accommodate future modifications. At just $1499.95, you get superb ride quality and heavy duty components at an industry leading price.